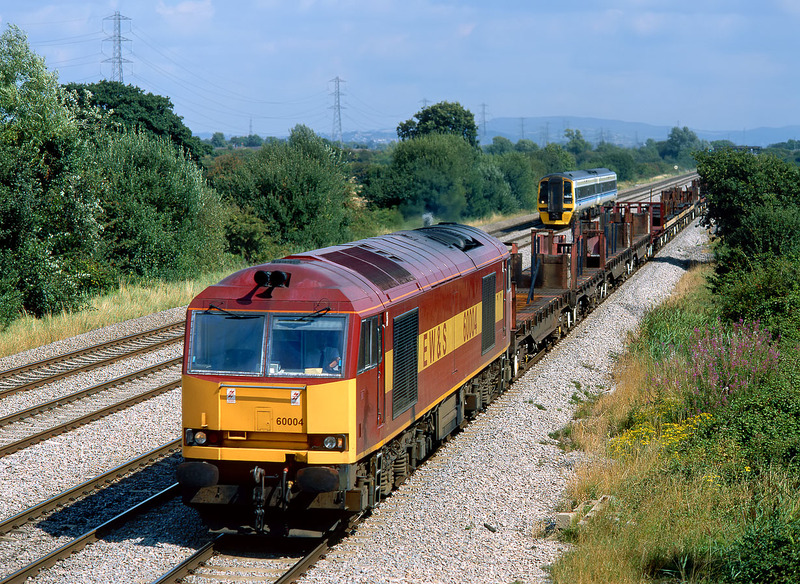 The race is on at Marshfield on 27 August 1998! 60004 passes by with the 6V75 09:02 Dee Marsh to Margam steel empties, while 158843 is about to overtake it with the 1F12 09:24 Portsmouth Harbour to Cardiff Central service. Normally the foreground train would partially obscure a train on the fast line, but here the low empty wagons have allowed some extra space, and by sheer good luck at the critical moment the front of the Sprinter exactly corresponds with a clear gap in the wagon uprights.